I began talking about my book a month or so ago and saying I was open to a core group of 1,000 people who are committed to changing not only their lives, but our world. See, I know the principles in this book work. I’ve taught them many, many times and had hundreds of people exclaim with wonder at the results. I’ve told the truth of how when you apply the principles in A Journey Back To Self to your life old beliefs are replaced with new empowering ones that support your desires. I’ve explained how you will have a new “world vision” a new way of seeing things which leads to things being different for you. I’ve talked about how you will know yourself to BE different and will then establish relationships with others in a new way. I’ve explained the process of healing the mind, body and soul; how these changes change everything in your life. With this new foundation you overflow with a new energy, one which changes everything you touch. As a teacher I know the power of restoring balance to your life. I know how it changes how you treat yourself, thus how others treat you. I know these principles work. They’ve worked for me and for many others over the years. I’ve also shared how each person who purchases their book through my website gets a signed copy of the book, a Free 2 hour seminar by phone, plus a new added FREE perk. I’ve created a group coaching support network only for those who purchase the book from my website. Why am I doing this? It’s simple. I’m committed to helping you heal and change the world. I could just market and promote the book and go on to writing the next one. I want to work with you. I know I can’t coach every single person who gets the book and begins their journey back to self, however, through the group coaching network I can share in your journey. There we can share our joys, wisdom and trials. Through your membership in the support network you will make friends with others who are on the same journey. You are seeing the same things I am right now. We’ve created a mess in our world. The only way to solve it is with different energy than we used to create it. The same principles that you use to create your experiences in your personal life are the ones we use to create together. My intention is to help people Wake Up to just how powerful they are. I KNOW that when people self realize, awaken to their creative power, not only will you change your own life… I also know that those changes will affect our whole planet. What’s in the book you ask. There is information on the chakras, stones, crystals, meditations. There are exercises which take you through the process of “seeing” which beliefs are limiting you and exercises to help you release them and incorporate beliefs which create more of what is wanted. There is information on how to use stones and crystals for healing and meditation. There is information on how to use color to heal. You will also find exercises to release your emotional attachment to things in the past and give new meaning to everything. It’s time to heal YOUR life. It’s time to live in joy, powerful creating, well being, prosperity and loving relationships. Will you take the step that will change your life, that will help change the world? Click here to order your signed copy of my book A Journey Back To Self today. Do it for yourself, your family, the world. The shift is NOW.. Grab hold of what you want to create. Make the changes that are beckoning you. Listen to the voice saying, “you can wake up now”. Join me in healing one individual at the time, waking up the whole planet to Who We Are. I am facinated by hummingbirds. They are simply amazing, not only are they fast little things buzzing from place to place as quick as a thought, they are reminders of LOVE. Funny story. A few years ago my daughter came in the house all upset because she said a hummingbird had gotten caught in a spider web. You should have seen the size of the banana spiders and their webs, then you’d understand how a hummingbird could get caught up in one. She had the small bird in her hands and sure enough it was all wrapped up in spider silk. Under the crepe myrdle trees huge webs had been create by banana spiders the size of my palm. The little birds loved the flowers on the tree, you get the idea. One thing led to another until a bird got caught. I took the tiny bird from my daughter and began the slow and tedious process of unwrapping it. This took a bit as I had to be so careful due to the tiny size of the bird. Finally I was finished, the bird was released from the spun spider silk. My daughter wanted to keep the bird as a pet and was a bit disappointed when I explained why we couldn’t do that. I told her to go get the camera and we would take pictures before we let the beautiful little bird go free. Outside we went bird and camera in hand. She took a picture of me holding the grateful little bird then I snapped a few pics as she held him. The tiny little bird sat in our hand. We didn’t have to hold on, it just sat there. After a few minutes it made some sounds and then flew to the bush right beside us where it sat and made more sounds. After a bit it flew away. We were so excited that we had been able to hold a tiny hummer in our hands and that he/she was ok. I commented to my daughter that I bet he went back to his hummingbird friends and told them all about how he got wrapped up by a giant spider, rescued by a small two legged and then unwrapped by a larger two legged. I bet we were now going to be part of a legend of the hummingbirds as they retold the adventure and our part in the rescue. We cared for the little bird because we love. Care and love go hand in hand with one another. Our love of nature stems from our remembering that we are love, the very energy of love. Caring comes easily when you remember that. Now I have hummingbird feeders at my bedroom window and am delighted each day as the tiny dynamos dart about at the feeder. I enjoy sitting outside and watching them flit about the other feeders in the flower gardens. They amaze me and always remind me to remember that I AM LOVE. When you remember that you are love, life is filled with the experiences of love over and over again. You realize how often love comes into play. When instead of going over to anger, or frustration, you remember love, take a deep breath to line up with Who You Are and let your remarks be saturated in love.. life is just easier. When you remember love you don’t have to apologize as often either. You don’t have as much to apologize for as love softens your words, reveals the message behind the current experience and reminds you that the person you are talking with is Love just as much as you are. Love really is the answer. Whatever life is bringing you right now, remember love. Remember that you ARE love. Love isn’t an emotion, it’s a power, an energy of creation. It’s Who You Are. Remember that and watch as your life totally transform. Put up a hummingbird feeder or two and let these amazing little birds remind you of the power of love. This love is why I wrote A Journey Back To Self. This series of lessons take you through the process of healing your past, balancing your chakras and making peace with you life experiences. The information in the book is a powerful tool that will aid you in transforming your life. Discover how to heal your mind, body and spirit with easy to work lessons and exercises to make the information real in your life. Get your copy today and Heal Your Life with the power of LOVE! $19.99 + 3.50 shipping to Change YOUR life click the book or the link to purchase your signed copy and receive a free 2 hour teleseminar to get you started working through the lessons in the book. It’s all in the thinking. Really it is. When you realize that thinking is a reflection of your beliefs, that energy that you are creating everything with, you realize the power of your thought. What are you thinking right now? Listen in and pay attention to not only the thoughts that are playing in your head but notice as well the feeling attached to those those. Really pay attention now. What have you been thinking and feeling today? Get connected to that. Now notice your body, how is it feeling, stiff, tense, relaxed? Those thoughts, that feeling, is what you are creating with. If it’s what you want reflected back to you then don’t do anything except keep it going. If however, you don’t like what’s already in your life and you realize that what’s being reflected through your thoughts and feelings will just be more of the same then it’s time to change things. Do you see the connection between thinking, feeling and what shows up in your life? Look back over your life, the connection is even easier to see. The building materials are those those, always connected to strong feelings which create in their own image more of the same. Changing the beliefs at the foundation is the key to changing what shows up. Beliefs are just thoughts that you entertained so many times that you don’t think about them anymore. You don’t question whether or not they even apply or make sense. You are on automatic. Most beliefs got their start in your childhood. People told you this is how things were, experiences began happening and you just accepted that this is the way things are. Now you want something different and don’t know how to get out of those old beliefs and into a new set that creates more of what you want. The place to start is by lining up what you believe on paper. Write it all down. If you are having issues with money, make a list of all your beliefs about money, people with money, how to get money. Do it quickly, don’t think about it, just write. Now go back to your list and read it. Add more if new thoughts come to you. The secret is to be honest at this point. Let your subconscious come out and play revealing what you really believe. Now that you have your list flip the thoughts over to what you want to believe in order to change what you are creating. If for example you wrote money was hard to come by, change that to; money is energy and energy flows always. Keep writing down a new set of beliefs about money. Place this list where you will see it many times throughout the day. Each time the old thoughts come to you read or think over your new list of beliefs. Keep in mind that beliefs are thoughts that you’ve had over and over so many times that they became habits. Be patient with yourself in this process. You are recreating your self and your life will shift in accordance. 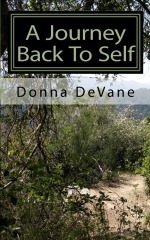 If you are ready to fast track the changes get your signed copy of my new book “A Journey Back To Self”. Over 20 lessons with exercises to help you change your life from the inside out. When you purchase the book from my website by clicking the link you will receive a signed copy and a free two hour teleseminar to help you get started working through the book in the easiest way. 200 pages of information that takes you step by step through the process of healing your past, balancing your chakras, using stones and crystals for healing mind, body and spirit, the book is a complete guide to energy healing. Balance, prosperity, well being, success are yours for the claiming. Get your copy today and heal your life. Now is the time. Time to change YOU. As you change your life changes. As your thinking, your knowing shifts, you create something different. Your thoughts and beliefs combined with passion brings those things into form, what we call physical reality. Don’t like what you got? Think different, BE different. Watch the video and visit my website A Journey Back to Self for more information on changing. So many people are feeling the transformation calling… so many are up in arms at the strong energy they feel moving right now. This is our call to Wake Up to Who We Are. Will you answer the call? Will you transform? Will your Evolve now? I also invite you to listen to and join me for Empowered Women Radio. What do stones and crystals have to do with the law of attraction? How about books, classes, tele-seminars and such? They are all tools for your law of attraction success. Each helps you stay focused, keep your energy in the flow of what you desire to call into form. Working with stones and crystals for meditation, healing and focus work is a very old practice. Shamans have worked with the energy of stones and crystals for century in ceremony and healing rituals. Knowing the metaphysical properties of a stone or crystal is a fun process. Of course you could get a book on it or you could sit in the silence and listen to the message. Basically for healing work you match the color of the stone with the color of the chakra. This brings a positive and balanced spin to the energy center. Most crystals can be used anywhere on the body to restore and balance. As a GIYAME energy healer I have used stones and crystals for many years. I enjoy teaching others to work with them as well. They are perfect focus tools and lend their properties for healing work easily and joyfully to the healer and the one receiving healing. I have just begun a new healing class. A Journey Back To Self is a method of energy healing I’ve used and taught for fifteen years with amazing results. Every person who has taken the 22 lesson course has had amazing results. You are taught about chakra spins, how to balance, how to release blocked energy which allows you to heal your life. As you let go of old emotions and baggage you allow yourself to live Free.. to Be who you really are. You also get information of which stone to use where for healing. This information is the result of my working with the Stone and Crystal People over the years. I guarantee each person who takes the class that if you will commit to working through each lesson and home you WILL see a transformation in your life. I have a special offer going on right now where you can get the complete class for a reduced price plus free access for one month to my healing support network. After the first month the only charge you will have is $10.00 which allows you to experience yourself as prosperous. The network provides you with communication with me and others to ask questions and make comments about the lessons. Over the years I’ve found that the intense changes taking place in students is greatly benefited by support and communication with myself and others taking the class. Things are changing. We see it and feel it. It’s time to shift. 2012 is right around the corner. Get your vibration lined up with the coming changes. The transition can be easy when we take steps to cooperate with the changes. I invite you to transform your life. While I can not do the work for you I will walk with you guiding and supporting your transformation. Click here, scroll down to the third option for the course and get your copy today.